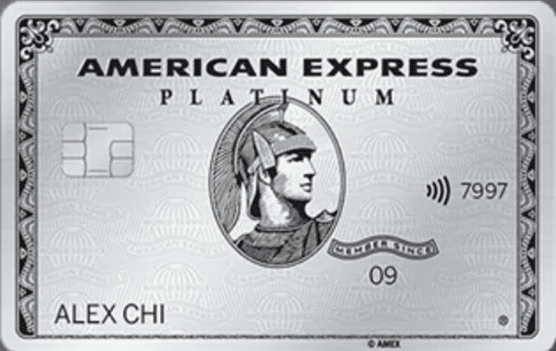 The AMEX Platinum Charge comes with a hefty $1,712 annual fee. Here's how I'm going to make it work for myself. The newly-relaunched AMEX Platinum Charge card has been attracting a lot of attention in the miles and points community recently, which may be surprising since its general spending rate of 0.78 mpd (1.95 mpd on SQ/MI/Scoot tickets) doesn’t make it much of a miles-earning powerhouse. But it’s not the miles earning proposition that has people turning heads. Rather, it’s the extensive list of benefits the card comes with, such as complimentary hotel stays, elite status with hotel and rental car programs, several different lounge memberships, dining and spa vouchers and $800 of travel credit. All those benefits come with a price, of course, and that price happens to be $1,712 a year (plus a minimum income requirement of $200,000 p.a.). Any way you look at it, $1,712 is a lot of money. It’s not quite the $3,210 that DBS is asking for the Insignia, or the $4,160 that Citi wants for the ULTIMA, but it’s a considerable step up from the $535 of the Citi Prestige or $589 of the SCB Visa Infinite. I wrote a post yesterday listing down each and every benefit of the AMEX Platinum Charge in detail, and attempting to value them. My conclusion was that since value is so subjective and different people value different things, everyone’s going to have to scrutinize that list and figure out if the card makes sense for him or her. I’m getting married in January 2019 (sorry, ladies), so that means a fair bit of leisure travel and big ticket spending in the near future. At the same time, I’ve left the world of management consulting which means I’m soon going to lose elite status with Singapore Airlines (to the extent that KrisFlyer Gold can be called elite, hah) and eventually Marriott Platinum. That’s exactly why I find the perks on offer particularly enticing. This benefit is easy to take at face value, as it would be for anyone who travels at least once a year. The AMEX Platinum Charge gives you $400 of statement credit to spend on airfare, and $400 to spend on hotels/cruises/tours. Both of these must be booked through the Platinum Concierge to qualify. From November 1, the $50 booking fee for airline tickets no longer applies, so it’s $400 of credit free and clear. Post Ranch Inn. Yes, it’s this amazing. I was already planning to book the picturesque Post Ranch Inn for a couple of nights as part of my honeymoon trip, which I’ll now do through the AMEX Fine Hotels and Resorts program, which gets me a US$100 amenities credit and possibly a room upgrade (one can hope). That lets me earn back $400 straight away. As for flights, the $400 of airline credit can’t be offset against taxes and fees on award tickets, but I’m 100% sure I’ll max out the benefit in 2019 as well. In March 2019 I’ll lose my KrisFlyer Elite Gold status, which means no more lounge access on Star Alliance flights. That makes having an unlimited Priority Pass all the more important, which the AMEX Plat Charge card provides along with access to Centurion and other AMEX Lounges, Delta SkyClubs and Plaza Premium lounges. I’ve gotta be honest- having read so much about the Centurion lounges from the US-based miles and points sites, I’m quite excited to check one out for myself. I’ll be flying out of LAX and IAH in the near future, so there’s a perfect opportunity right there. I’m also planning to visit some of the restaurants where Priority Pass members get free dining credit (no, I won’t go to PF Chang’s), which with the one free guest benefit is really going to add up. I’ve managed to renew my Marriott Platinum status for 2019, thanks to the 10 elite qualifying nights from the Rewarding Events promotion. However, by 2020 I’ll drop down to Marriott Gold, which in the new combined program is nothing to shout about. That means I’ll soon be in the market for other hotel elite status. 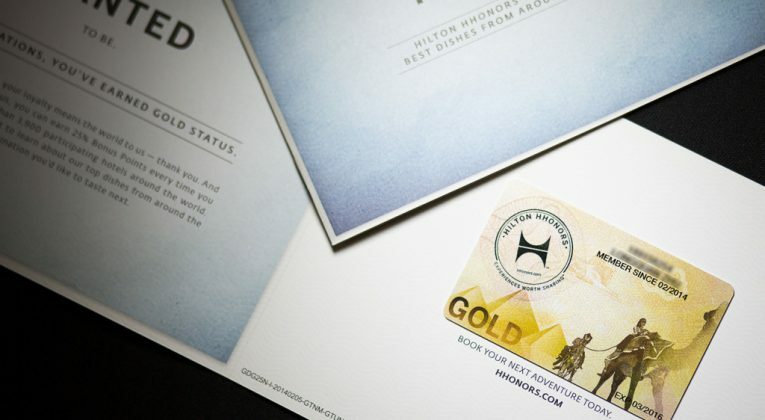 The AMEX Plat Charge card will get me complimentary Shangri-La Golden Circle Jade, Hilton Gold, Radisson Rewards Gold and Marriott Gold status, and it’s Hilton Gold that I’m particularly after. Yes, I could get it with the ongoing Visa Signature/Infinite fast track offer, but (1) the offer is valid till 31 December 2018, (2) I’m unlikely to hit the 2 stay/4 night requirement before then and (3) even if the offer is extended I’d rather not have to make those 2 stays without status if I don’t have to. Hilton Gold may not be the highest level in the program, but Louis has made the point that Hilton Diamond doesn’t represent a lot of incremental value over Gold, given that Hilton Diamond benefits are rather lackluster (no official suite upgrades policy, no guaranteed late check out), and Gold already gets you free breakfast. At some point in 2019 I plan to bring the Milelioness to the Conrad Koh Samui (probably after I can load up on some Hilton points at 0.5 cents each), so having Gold status will come in handy there. It’s hard to place an exact value on elite status, but Louis has made a gallant effort here. The other status I need? Shangri-La Golden Circle Jade. Why? Not because I plan to stay at Shangri-La properties, but because Jade status holders can do a fast track to KrisFlyer Elite Gold. Remember how my Elite Gold is going bye-bye come March 2019? If I register for the status challenge, I just need three eligible flights (any booking class except awards and group fares) in four months to get back to Gold. Sure, I can only do this once in my membership lifetime, but getting an additional year beats ending up with nothing. Cardholders who spend $20,000 within 3 months of approval get a bonus of 75,000 MR points (46,875 miles), on top of the 15,625 base miles they normally earn. This represents a total return of 62,500 miles for a spend of $20,000. With my hotel banquet payment I’ll have no issue hitting the $20,000 spending threshold, and getting 62,500 miles beats my next best alternative (40,000 miles with the BOC Elite Miles World Mastercard). A conservative valuation of 2 cents per mile puts those miles at $1,250. Honeymoon year means doing a few staycations/short hops around the region, and the two complimentary hotel stays that come with the Platinum Charge card will come in handy. The first is the 1 night stay with either the W Sentosa or St Regis Singapore, both of which were properties I was already considering for staycations thanks to my Marriott Platinum status. Room rates can cost as much as $500-600 a night all in. The second is a 2 night stay at selected Banyan Tree or Mandarin Oriental properties (you only get 1 night if you opt for the Capella or Mandarin Oriental Singapore). I’ve got my eye on either the Banyan Tree Bangkok or the Mandarin Oriental Hong Kong for a long weekend getaway in 2019. Assuming I go with the Mandarin Oriental Hong Kong, that’s about $600 of value for a two night stay. Some may argue that I’m making the mistake of valuing these stays at revenue rates, which I should only be doing if I were willing to pay those rates in cash. I absolutely agree. When I talk about miles valuation in our Miles for Beginners classes, I continually emphasize that it’s wrong to say you get 6 cents of value per mile by redeeming them for First Class unless you’d have normally paid out of pocket for First Class anyway. For me, I’d be willing to pay up to $250 a night for a nice hotel, so I’m going to personally value these complimentary nights at $750 in total. After the wedding we’ll be throwing a little thank you lunch for the groomsmen and bridesmaids, which means the dining vouchers plus Love Dining discount (which, for the record, can be stacked) are going to come in handy. Yes, I’m aware the “lesser” AMEX Platinum cards come with the Love Dining discount as well, so this isn’t a decisive factor for me getting the Platinum Charge. That said, if I have the benefit, I might as well use it. For the record, the AMEX Platinum Charge comes with a $200 St Regis, $50 Marriott Tangs Plaza and $100 Tower Club dining voucher, so that’s date night settled for a couple weekends too. The AMEX Platinum Charge does come with other benefits that I haven’t mentioned here (if you want a detailed breakdown refer to this post), but suffice to say: the card makes sense for me because it coincides with a point in my life where I’ll be spending a lot more on travel and lifestyle. The annual fee will more than cover itself through the bonus points and benefits, and that’s before taking into account some of the more intangible things like access to the concierge, or ad-hoc benefits like free drinks at selected bars or free parking at Vivo. Needless to say, not everyone will find themselves in a similar position, but if you do I think it’s well worth taking a serious look at the benefits of membership. If you’re still on the fence, consider joining our AMEX Platinum Charge Telegram Group where current and interested cardholders can discuss specific card-related questions and promotions. Another excellent write-up, Aaron.. Well done.. and congrats that you’ve even planted caveats all over the shop, which “should” shut morons and haters up.. but then again, one never knows..
Btw, you valued 2 nights stay at MO HKG at $600? $300 a night? Is this correct? I reckon it’s closer to $600 a night there, no? Ah.. looks like the dates you checked, must be a very low season.. I’d love to stay at MO HKG.. location etc.. but too rich for my blood.. even Hyatt Regency TST always winds up knocking on S$300 a night..
Congratulations Aaron! Can the dining vouchers really be stacked? I don’t recall getting multiple vouchers of the same restaurant. On Love Dining, I thought the discount (%-wise) drops when there are more than 2 diners? How does the stacking work pls? Thanks. All these vouchers come in annual renewal pack. You should call Amex if you don’t have the full set. U get 4x$50 St Regis dining vouchers and the rest in single vouchers. F&B outlet will take off the value of the voucher from your bill first then apply the Love Dining discount on the remainder amount. yes so effective they are giving you $100 value, not $200. However aren’t you are Marriott lifetime platinum ? I recalled seeing that infinity logo in your post in rewarding events. I take back whatever I said yesterday unreseveredly and apologize to Aaron for throwing whatever shade. Clearly it is me who has a lapse of judgement. You get two thumbs up from me, @Powell.. not sarcasm.. and it’s doesn’t matter why you did this.. It takes a ‘bigger person” to do this and I’m simply giving that to you..???? some great points there, have updated where needed. i’ve heard mixed reviews about the centurion lounge in hkg apparently- it’s not nearly as nice as the ones in the states. but i haven’t visited yet anyway. PP first is indeed available at an upcharge, about S$35 when I went. Tkx for write-up, Sin versión is very high requirement, holding UK Plat (plastic card), no income requirement, almost same perks except hotel&flight credit, GBP 450 AF, free one additional card one free Plat sup card with same perks as main cardholder, next year target for US Plat (Metal card) on the way to build credit score. Thanks for this excellent writeup. Was wondering if the benefits are given to supp card holders too? Particularly interested in the hotel elite status. Thanks! Congrats Aaron!! Wishing you and your wife a lifetime of love and happiness! Also, another wonderfully written article! I’m seriously considering the Amex Plat Charge now! Your salary at MilesLife is $200,000+?! The point of the article is not Aaron’s income (which is none of our business), but his rationale for applying for the card. He was working as a management consultant who flies everywhere all the time. Pretty sure he was already earning pretty penny even before he joined MilesLife. For all you know he had to take a paycut. Thanks for the article Aaron, I reckon that with the benefits the card pays for itself as well, IF they are going to be used. Do you get to continue enjoy the sq elite gold status and the premium hotel status as long as the amex card is being renewed? Congrats on the wedding btw. fact: it is physically impossible to go to bed with the milelion angry.